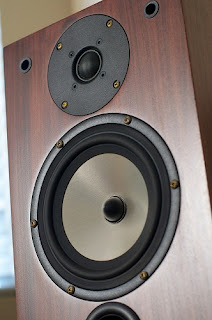 the RM7XL has the full measure of the dynamics and resolution that have made Joseph Audio Speakers famous. 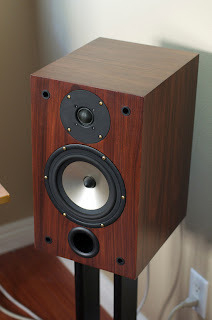 but also that trickle-down technology makes the audiophile heart go thump-thump." Knowledgeable audio experts around the world agree that the remarkable RM7XL is among the world's finest loudspeakers. it is a real high-end design incorporating the same high-quality components and technological breakthroughs introduced in our full sized models. 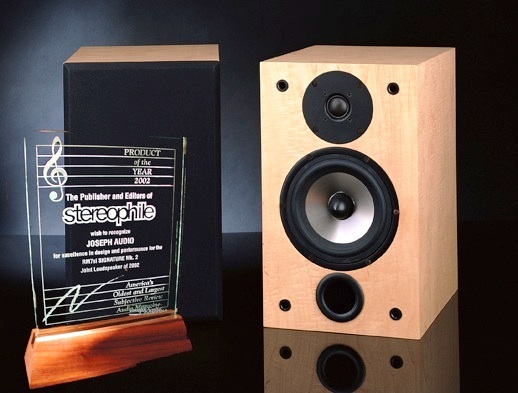 The goal of our design team was to create a true state-of-the-art Mini-Monitor that could deliver the lifelike musical and cinematic reproduction of our larger speakers in a elegant and compact system that would fit easily and inconspicuously into a home environment. Their success in achieving this goal is immediately apparent when you listen to your favorite music or movie through the RM7XLs. These compact loudspeakers can be almost startling in their ability to recreate the illusion of live music or cinematic action in your room. •Metal cone woofer Aluminum cones are extremely rigid, resulting in very clear dynamic sound free from the common midrange resonances that mar the performance of conventional plastic or paper cones. 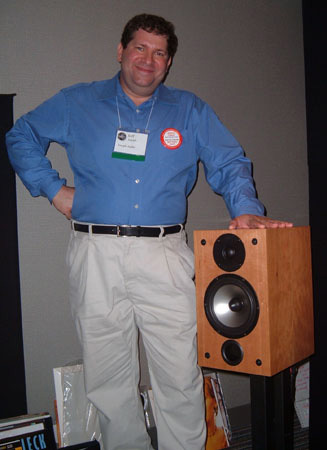 This woofer is equipped with an extended pole piece that acts as a "phase plug" extending the usable dispersion of the woofer at the top end of its range, and displacing any resonances that could form inside the cavity of a conventional dustcap. • Dual Section Dome Tweeter - These latest generation sonatex dome tweeters offer sweet smooth extended highs, without any of the "oil-can" resonances found in metal domes. The result is a natural sounding treble range that reveals all the detail and beauty of the music. •Asymmetrical Infinite Slope crossover - the patented Infinite Slope Crossover optimizes the interactions between the drivers, so the sound that comes from the woofer is seamlessly fused with that of the tweeter. It also optimizes the sound of each the drivers, permitting the use of such exotic materials as aluminum cones, while effectively silencing the ringing that such drivers can exhibit in conventional implementations. Sensitivity: 86 dB SPL, with 2.83 volts RMS @ 1 meter, 4 pi (anechoic). Sensitivity combined with impedance indicates how much amplifier power is required for the loudspeaker to play at satisfying volume levels. When comparing this spec to low impedance (4 ohm) designs, you must add 3 dB to the figure, since 4 ohm loads draw twice the current from the amplifier, providing the illusion of greater sensitivity, while placing more stress on the amplifier’s power supply. The moderate sensitivity of the RM7XL indicates that even smaller amplifiers can achieve realistic levels in all but the largest rooms. Impedance: 8 ohms nominal, 7 ohms minimum. System impedance indicates whether the speaker presents a "hard" or "easy" load on the amplifier. True 8 ohm speakers are less amplifier and cable sensitive, and partner well with a broader range of amplifiers, including tube designs. 2-way Patented Asymmetrical Infinite Slope Crossover at 2 kHz. Constructed of specially selected components, woofer and tweeter crossover circuits are physically independent. Provision for bi-amping or bi-wiring. Each network is tested and calibrated to a high degree of precision, resulting in a virtually perfect match to the original design prototype. The steep filter slopes ensure good acoustical behavior in the crossover regions, with a minimum of acoustical interference, along with low distortion and wide dynamic range. Driver acoustic responses are in-phase throughout the crossover region. 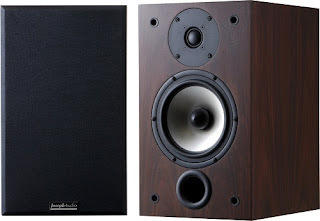 The RM7XL delivers a very smooth and even response over a very broad listening window. Unlike conventional low order crossover designs, the speaker retains its sonic balance over a wide angle both vertically and horizontally. This results in a higher level of fidelity than a simple on axis measurement can reveal. Dimensions and weight: 15" (381 mm) H x 9" (228.6 mm) W x 12 " (304.8 mm) D.
Shipping weight approx. 55 lbs. (24.95 kg) Packed as a pair.